Place all dressing ingredients in a blender and blend until creamy. Using a fork, score the skin of the cucumber by drawing the fork down firmly into the skin (optional) and slice into rounds. 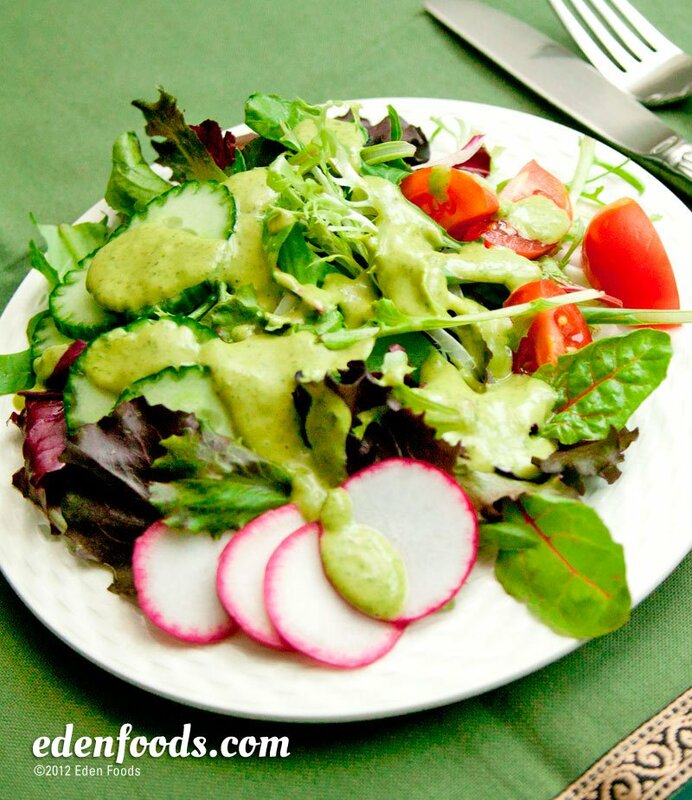 Arrange the salad ingredients on individual serving plates and serve with dressing.